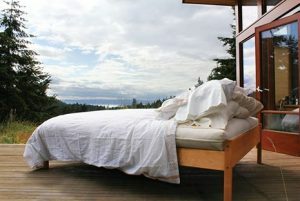 The Natural Sleep Store offers natural organic futon-style mattresses without flame retardants or synthetics. 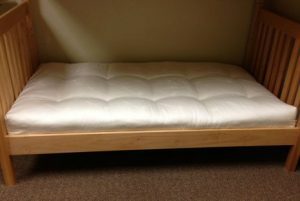 $1,399.00 – $2,899.00 Futon-style mattress made from organic wool and organic cotton. Four and a half inches thick. The Organic Cozy Nest Mattress is made from micro coils, organic cotton, and organic wool. Our best priced futon mattress. The Soaring Heart Futon is made with organic cotton and organic wool with no latex, perfect for people who want a pure and latex-free mattress. 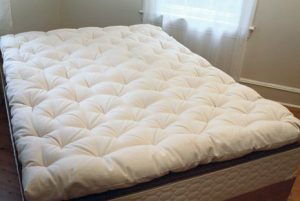 This is a four and a half inch thick organic wool mattress. Each Savvy Rest Pastoral mattress is hand-made and hand-tufted to organic cotton twill fabric, and flexible enough to be used on a futon-style frame. 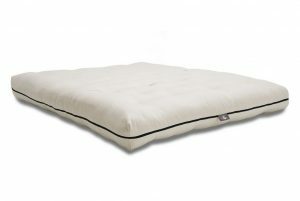 The Sleepy Sheep Sublime Futon has a three inch core of natural or organic latex surrounded by layers of organic cotton batting and pure virgin eco valley wool. This is a medium/firm mattress approximately 8 inches thick.